This property is 1 minute walk from the beach. Guests at Crab Cove can look out onto the stunning ocean while relaxing on their private terrace. The property also offers a sauna, barbecue facilities and free use of kayaks and snorkeling equipment. 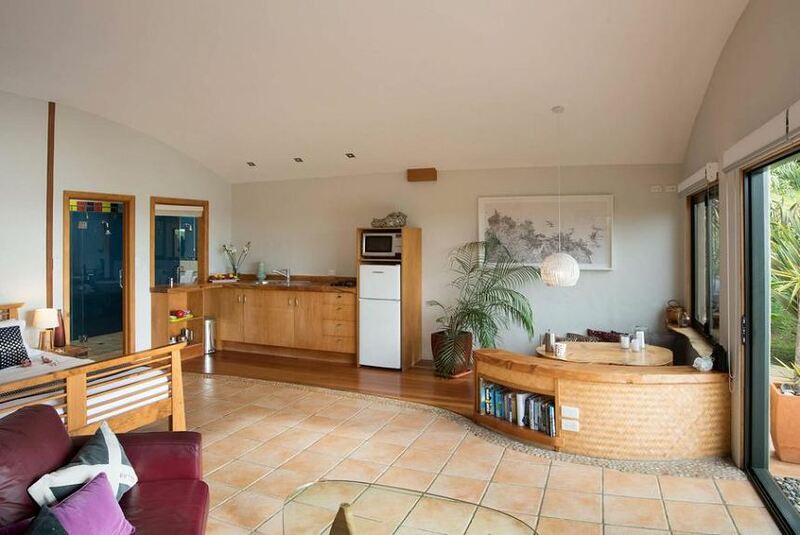 This self-contained studio apartment is just 7 minutes’ drive from Matauri and 14 minutes’ drive from Marble Bay. You can prepare a simple meal in the kitchenette, which includes a microwave, stove top and a refrigerator. The spacious accommodations also includes a flat-screen TV, DVD player and an iPod dock.